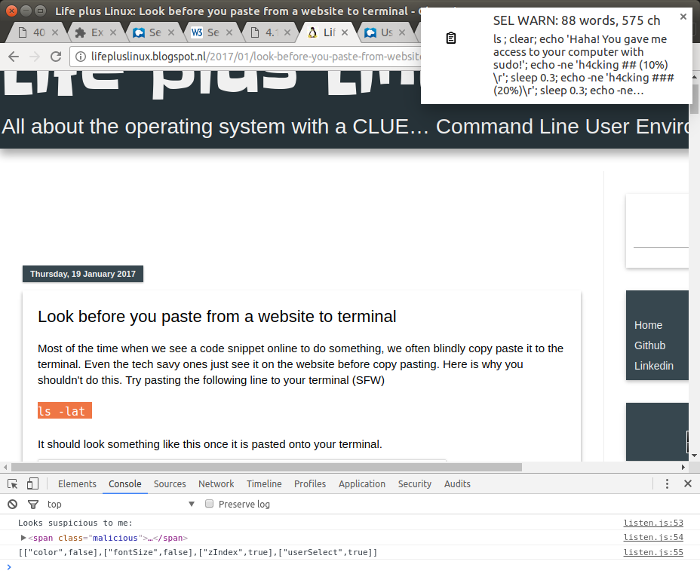 This LookBeforePaste Chrome Extension is a quick attempt at trying to warn the user. Heuristics are defined as follows. They could certainly be improved, but it's a start.